Retired Army Reserve and former U.S. Senate Staff. Living in beautiful Arizona. Privileged to still be working with soldiers. Honorably Discharged, 50% ABLE with God's Grace, Service Connected Disabled Veteran. FYI - my photo was taken 1982. A lot has changed, but NEVER My Oath to USA! 1) Calling out hypocrisy everywhere. 2) Showing you stuff that interests me. 3) Not necessarily in that order. We’re the InsideSources team: bringing a closer look at the news to our politically-savvy readers. 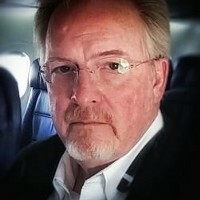 Son/bro/hubby/Dad; FNC Chief Washington Correspondent; author, Cheney One on One; Beatles freak; Neal Adams acolyte; remorseful cookie monster; visionary.